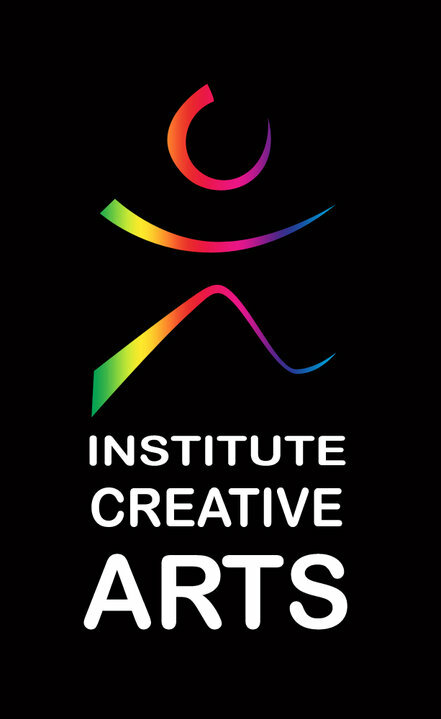 As a continuation to the Artists in Development Program the National Institute of Culture and History through the Institute of Creative Arts (ICA) is partnering with the Music Industry of Belize and the Belize Chamber of Commerce to create a space at the 2012 Expo, where they will allow Belizean Artists to showcase their works of art and connect with the community. In order for this to be a success ICA is looking for artists, cultural workers and associations, to showcase their creative designs, products and services at the ICA Creative Village. Fall into either the Jewelry, fashion design, visual art, music, record label/ studios, or creative associations. Have at least one reference of authenticity in regards to their works, or have a registered creative business or be member of a registered art association. A registration fee of $60.00 is charged, and it will provide artists with a 10*10 booth space, 1 table, 2 chairs, lunch for both days and 1 mannequin (if needed). Include a portfolio including pictures or sketches of the pieces that will be exhibited. Include Business Cards or brochures with contact information. Have an assistant who will be responsible for the bookings of orders, as well as answer any questions about the products. Fashion designers will also be responsible to submit 1 model of their choice along with their measurements. Need More Information, feel free to click here. 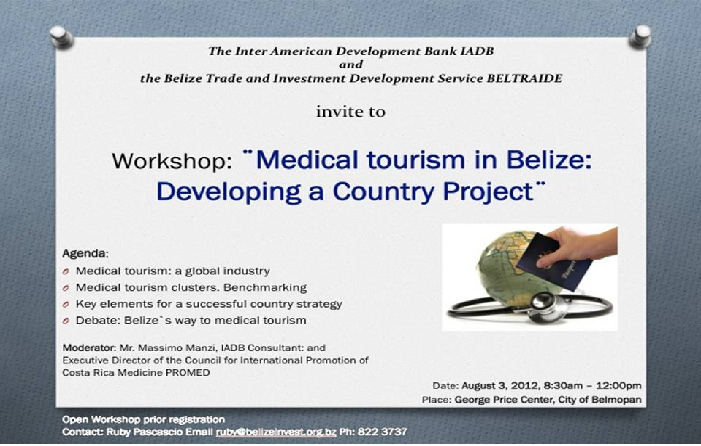 For the last few years, medical tourism has been a hot topic in Belize. It seems like a no brainer for this inviting Central American country, nestled on the Caribbean Sea. This is an English speaking democracy. The government is based on the British parliamentary system. Contracts are logical and easy for North Americans and Britsh to understand. There are only 330,000 residents in Belize. It takes little more than two hours to fly here from Miami or Houston. And although local medical care is good, there are still few medical specialists in the country. If medical tourism is nurtured, it would result in access to a broader selection of highly trained specialist doctors in the country. Medical tourism would provide a long term boost to tourism. 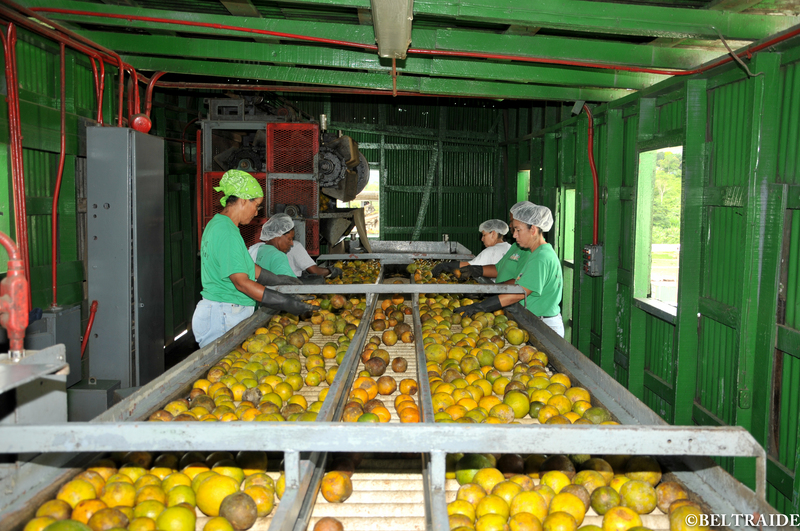 And that would have a positive impact on the Belizean economy. The Belize Bureau of Standards (BBS) wishes to notify the relevant stakeholders and the general public that the standard “Guidelines for Recreational Water Quality” is being developed by the CARICOM Regional Organisation for Standards and Quality (CROSQ). The draft standard “Guidelines for Recreational Water Quality” is out for public comments and inputs. Stakeholders are asked to note, on approval of the standard by COTED, the BBS will adopt the same as a national standard. The deadline for submission of comments to the Bureau of Standards is September 5, 2012. The standard is also available on request from the BBS office. Comments can be mailed to the BBS at bbs@btl.net or email at stds.officer@bbs.gov.bz. Please refer to the attached documents.